Ora May Keen, 96, passed away peacefully on March 28, 2019. Born October 16, 1922 in Lebanon, TN, Ora was the daughter of the late John Helton and Dona (Adams) Helton. She was also predeceased by her husband, Woodrow Wilson Keen, a daughter, Edith Keen; a sister, Dora Helton and a brother John Helton. Ora was a devoted, caring and loving wife, mother, grandmother, great-grandmother, great-great-grandmother and friend. She was a devout Christian and member of the Free Will Baptist Church. Ora loved to travel, go camping and gambling. She was especially fond of her trips to Panama City Beach, Florida, the Smokey Mountains surrounding Gatlinburg and San Antonio. She loved her spaghetti and cornbread and also her sweet tea. Ora was a homemaker who loved to surround herself with her family. This was very easy for her as she and her late husband had 10 children together and the subsequent expansion of that circle with grandchildren, etc. 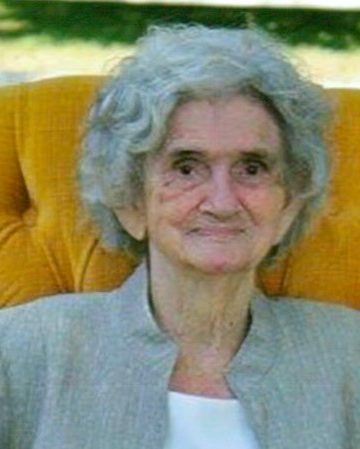 She is survived by nine of her children; Donna Redding, Woodrow R. Keen, Arthur Keen, Ruby Jackson, Mary Auberson, Jerry Lee Keen, Martha Dismang, Edward Ray Keen and Johnny Keen; as well as numerous grandchildren, great-grandchildren, great-great-grandchildren, extended family and friends. Visitation for Ora will be held at Cole & Garrett Funeral Home, Goodlettsville, Sunday from 2 to 6 PM; Monday from 10 AM to 8 PM; and Tuesday from 9 to 11 AM. A celebration of life service will follow Tuesday at 11 AM with burial in the Nashville National Veterans Cemetery. My loving, beautiful Granny. You are going to be missed each and every day. I honestly don’t know what we are going to do without you in this world but I know you will be watching over us. You impacted my life more ways than you will ever know. Thank you for always loving me and supporting me in everything I did in life. I’m so glad you got to meet my children. They loved you so very much. You will always be remembered as a beautiful, strong willed, sassy, independent women. I know you are the most beautiful angel up there. Fly High Granny! Sister Keen was a devoted Christian that I remember well from the time I was her Pastor. My prayers are with the family and friends. I have been privileged to be Mrs. Ora May’s pastor for the past six years. She always had a broad smile and always wanted a hug. I will miss her hugs and that loving smile. My family and I have had the privilege of knowing Granny. She was such a sweet lady. She always loved us and welcomed us every time we saw her. She will be missed and we will think of her often in our hearts. Much love and condolences to the family. We had the great privilege of getting to know Mrs. Keen over the years. She will be deeply missed.